This is one of a series touted as: The Manhattan Mysteries: Hard Boiled New York City Fiction. I didn’t find it all that hard boiled; more on the easy over side, but still a great story nonetheless. It stars a 56-year old Medal of Honor holder turned accountant who is a scarred soul leftover from his stint in Vietnam, and who is now partners in a publishing firm. He somehow has garnered a ton of money but we are not told exactly from where, but he wears bespoke suits, custom-made shoes, made-to-order shirts, and drives a $100,000 Jag. Must be nice. His young niece is found murdered, the fourth in a series of young models who died from what appears to be an ice pick jab to the brain. And the fourth to be wearing a dress designed by the up-and-coming designer Fargo, and posed in fashion shoot style. He set off to find the killer, and we get to tag along as he moves through the monied young and annoying set as they hit the trendy night spots and the must-be-seen-at charity dinners. I bet you think it was the designer, right? You might be right. But you will have to read the book to find out. I really liked it, and although it says “The Manhattan Mysteries”, this seems to be the only one so far. I am eagerly awaiting the next. I can’t believe I hadn’t read this already; it was written in 1942, for pete’s sake! Well, one can’t read EVERYTHING that was ever printed. Can one? So often, sin is accomplished by manipulating the pursuit of virtue. Therefore, catch the patient at the moment when he is really poor in spirit and smuggle into his mind the gratifying reflection, “By jove, I’m being humble!” And almost immediately, pride — pride at his own humility — will appear. It is all about taking positive action in living a Christian life, but the thrusts and barbs are pertinent to all, no matter what religion one follows, or even none at all. Gratitude looks to the past and love to the present, but fear, avarice, lust, and ambition look ahead. This accomplished and prolific writer is the author of 19 books, and a whole bunch of short stories. Looking through the list of her novels, I swear I have read several of them, but who remembers anymore? Heck, I can’t even remember what I had for breakfast this morning, let alone what I read years ago in the lighter fiction genres. 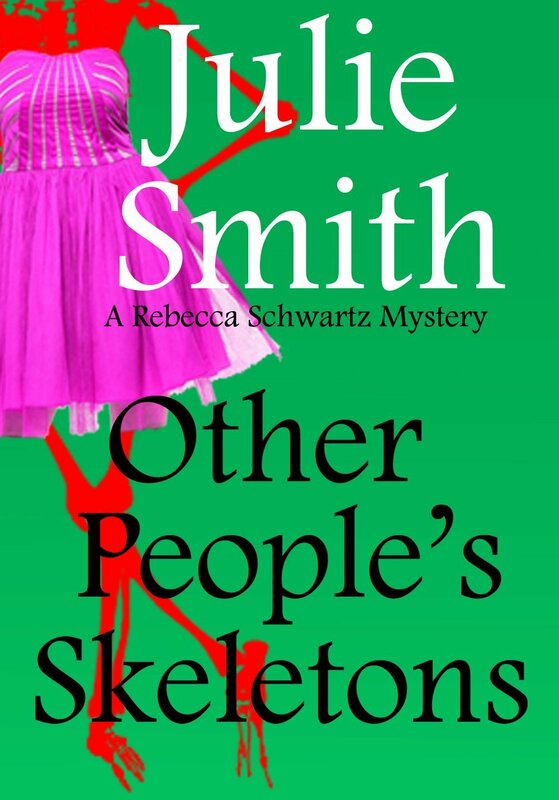 Rebecca Schwartz is a lawyer who has what may be the funniest secretary west of the Pecos. He — yes, a ‘he’ — is a failed actor, but he gets it out of his system while working for Julie and her partner, Chris. 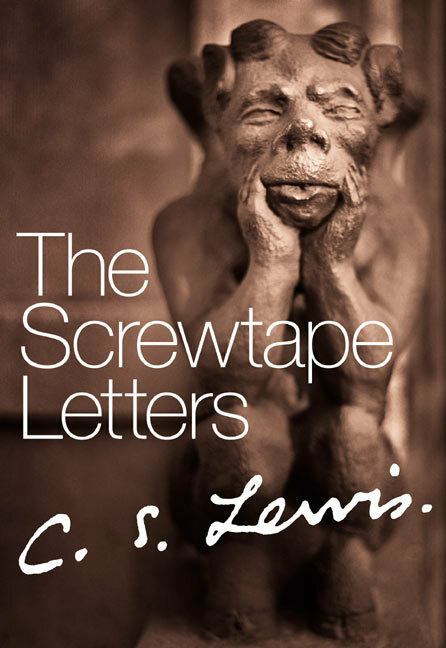 Worth the read just for his vignettes. 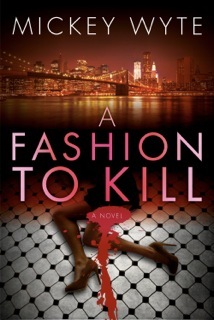 Chris, the partner, is the lead suspect in the murder-by-hit-and-run of a famous and popular theater critic. In her efforts to get Chris off the suspect list, Rebecca discovers that Chris is psychic, that the deceased seems to be leading two lives, that some people in life really get dealt a terrible hand, and that bigotry comes in all forms by way of intolerance of others’ belief systems. There is a thread running through the story concerning secrets. Everybody has some. Everybody is holding something back. A well-told tale, with a deft touch. The atmosphere feels right, and if some of the characters are a smidge over the top, she’s not trying to be P. D. James, but to entertain us and maybe make us think just a little bit about things. I think I’ll dig around and see what other of her books I can lay my hands on. So come over here and sit by me and tell me your secrets. I promise I won’t tell a soul. Girl Scouts honor. Raya is a young woman who blogs about true crime, often unsolved mysteries. She rummages around the internet looking for interesting stories, and comes upon one that catches her attention, and she goes into a kind of trance in which odd ‘memories’ seem to surface. The unsolved crime was the horrendous murder of the town’s mayor, wife and two young kids, after being put through some serious psychological torture. Did Raya actually see it somehow? 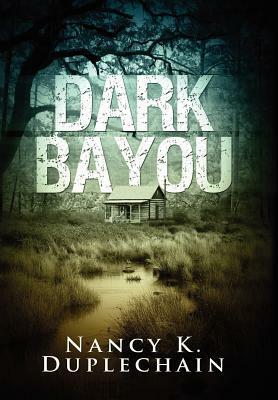 This thriller, set in the bayou country of Louisiana, is not really a mystery, because we learn fairly early on through the italicized thoughts of the killer, who did the dirty. So the bulk of the story is that of Raya and her family trying to outrun and outthink the killer. It is based around a simplified version of game theory, with choice options. It was really a good suspenseful thriller, with the exception of the dialog. I found the dialog somewhat strained and stiff. And the characters use the names of others way more than we really do in real life. I mean, think about it. When you are speaking to someone, how often do you use their name? My other tiny complaint is the use of ultra trendy slang. “I considered going all caveman on her”. I only dislike it because it really dates a book. Three years from now, that expression will look odd and out of fashion. Perhaps I have come to the end of books set in Louisiana. Perhaps not. I’ll choose. 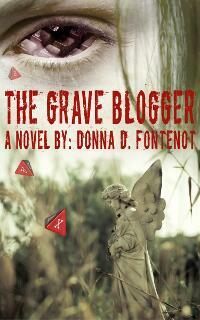 Another mystery set in the Louisiana Bayou country. Is the Universe trying to tell me something? I was in New Orleans about 25 years ago, and although the city was delightful, even in February it was hotter than Hades, and the humidity was in the triple digits. OK, I exaggerate, but only a little, so I don’t think I will be wandering into the bayou country anytime soon. I will leave my visits with the Cajuns to armchair reading. 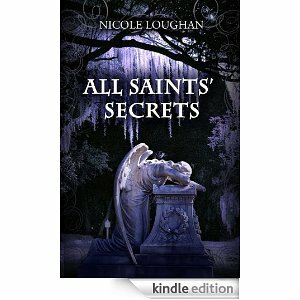 All Saints’ Secrets is apparently the second in a series about Fanchon (yes, it is apparently an old Creole name), a nice young lady who went through some serious shi drama in the first book of the series, which included almost being eaten by an alligator — in NYC of all places, and being abducted by a nutcase, and rescued by a good looking policeman (aren’t they all in these books?). My complaint with this book is that the reader is dropped right into the middle of the continuing saga with pretty much no clue as to what is going on and what went before. That’s the trouble with series that continue a storyline — the author is hard-pressed to give enough backstory to bring new readers up-to-date without boring the bejeebuz out of the readers who read the first volume. This time the author didn’t give us enough. Well, once the reader figures the story is good enough to plow on anyway and just take a lot of it on faith, it is a great read. We meet Fanchon, a product of the impoverished bayou country, trying to make a living playing a piano in NYC, desperate to be away from Louisiana when all the trouble hits, lying in a hospital bed with her leg seriously damaged to the point where she is in danger of losing it. Her adopted family is there with her, to take her back to the swamps of home to heal the leg and get herself together. Her best friend was murdered in their shared NYC apartment by the guy who did the damage to Fanchon, and the killer has not been apprehended yet. The know who he is, but he has disappeared. We learn that her best friend’s sister who everyone thought had drowned in a boating accident in a lake in her home area had also met with a mysterious untimely end, many years ago, and the then-boyfriend is a prime suspect. So as we accompany Franchon (whom nobody calls ‘Franny’) home to stay in the little cabin on the bayou, the story expands. We learn a lot about life on the bayou, and the reader is secretly grateful for air conditioning, screening, and a steady job. We learn that these Baptists share a great deal in common with Mexican Catholic beliefs and rituals, and that All Saints Day is observed as a day to attend to the graves of their loved ones, and visit with their ancestors, and the following day, All Souls Day, the folks have a big party. This is something of a mystery, something of a thriller, and a lot of a character-driven story. I liked it. So by the end of the book, we have finally learned what happened in the first installment, so I will not bother reading that book, but will look forward to the next in the series, whenever that appears. Mz Loughan apparently has no author website, (why do writers neglect this? She has a blog she writes, so why not an author website?) at least I could not find one, and frankly if it doesn’t appear on the first google page for her name, I am not about to go searching. I’m like that – lazy and crabby. See you ’round the bayou, chere. Don’t let the gators get ya. Lately I have come upon a number of mystery stories set in New Orleans, and have enjoyed them all. Maybe because New Orleans has a mysterious aura about it due to the voodoo religion prevalent there, and the Cajun speech. The writing is clear and simple, which made me think it might be a YA, but since the protagonist is an adult, I figured it was not. Here’s the basic plot: Leigh Benoit is called home to Louisiana by her grandmother to take care of her orphaned niece, Lyla. Deep in the mysterious waterways of Cajun Country lies the secret of a Dark force that threatens Leigh’s family. Leigh, with the help of her childhood friend, Detective Lucas Castille, must uncover the secret, or the darkness will prevail. The death of her own mother years ago was not as it seemed, and the deaths of her brother and sister-in-law in a strange car accident in which they were both killed but their 10 year old daughter was not, was mysterious, and ugly. Lucas reveals that there have been some other unexplainable deaths in the area over the last couple of years. Lots of them, actually. Let me warn you in advance. The story also revolves around Charlemagne and his 12 holy knights, and their ‘bloodline’. The knights supposedly had superpowers, one per knight: strength, seeing the future, healing, magic, etc. These powers have survived down the bloodline to the present day ‘paladins’, which are supposed to be warriors of the church, but the “warriors of God” is a 18th century romanticisation, and refers to the medieval interpretation of the Roman palace guard and priest of Mars. Needless to say, some of our characters are paladins. OK, so if you can suspend disbelief to go along with this plotline, you are good to enjoy the rest of the story. My two small and petty criticisms: one is the ongoing recounting of dreams throughout the book. Amazing how they are remembered in total and vivid detail. Most dreams fade almost instantaneously for us real life folks, and even strong ones don’t last in their entirety. So the reader (that would be me) asks herself if these dreams are there for padding or some kind of attempt at making the story spookier with foreshadowing? Anyway, I hate dream recounting in books. I don’t let people tell me their dreams in real life. After all, who cares? They are made up scenarios by the brain. They have no impact on our lives. The word peaked: “my curiosity was thoroughly peaked”. Sigh. Piqued, people, PIQUED! Maybe the author really did know this difference but spell checker let it through because ‘peaked’ is a legitimate word. I’m awarding the benefit of the doubt for this one time only. Don’t let it happen again. OK, three criticisms. I thought the symbolisms which were there to create the spooky and scary atmosphere were a little heavy handed. This is one of the reasons I thought it might be a YA. On the plus side, not ONCE did the author use the word palpable. I admire the restraint, as it seems that every damn book, whether fiction or non-fiction, has that word in it. And used incorrectly at that in most instances. Note to authors: find another way to express the idea of almost ‘tangible’, because most of you mean ALMOST tangible, the idea you are trying to describe cannot not actually be touched. Sigh. Now you might think from all of this that I did not enjoy the book, but you would be wrong. I did enjoy it. It was a fun read, surely not of the Stephen King scary quality, but interesting nonetheless. After all, I did learn something new, that being the paladins of Charlemagne. Gotta say it. This has been one of my favorite books this year. Why?, you ask, as well you might. The genre is what I call in my personal Marti’s Personal Genre Categories a Light Mystery. Let’s see what we have here. OK, we have your basic geriatric P.I., Henry Graves, 84 and still kicking. Once widowed, once divorced, WWII vet, ex POW. A bit dotty, dozes off at unexpected times, drinks more than is probably good for him, and tends to disarm his suspects and the general public with his malapropisms and a teensy smidge of confusion. Charming, likes the ladies. The ladies like him. Columbo without the raincoat. We have your luxury liner cruise, whose population tends to the elderly side of the century mark. Oh, yeah, and we have your basic dead former FBI profiler found hanging by a towel at the top of the rock climbing wall by the pool. Just another day in Paradise. 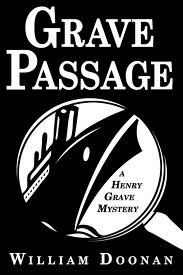 Henry works for the Asian cruise ship line, and is sent to unravel deaths, mysteries, and just plain problems on the various cruise vessels owned by the line. And with these vessels carrying upwards from 1,500 passengers, there is always room for trouble. But a dead former FBI guy? Whooeeeee. Henry is funny, and likes to put folks on, in his deadpan way. The story is told in first person, so we get to hear his thoughts about all kinds of things. In places, it is a laugh-out-loud kind of book. I don’t mean raging guffaws with tears running down your cheeks, but cheeky humor that elicits a chuckle now and then. But let me warn you. Henry is not as dotty as you may think. There are undercurrents to Henry. That is, there are when he is not dozing off. Good mystery, definitely a plus, because if the reader can guess whodunnit too soon, it takes the fun out of it, great characters, and a ship to die for. Or on. Or something. I think there are two other Henry Graves mysteries. Gotta find them, cause he is a doozie and gives me inspiration for my coming old age.